For someone who envisions themselves studying on a law school campus, passing the bar is the only way you will ultimately get to represent clients as an attorney, legally give advice and earn that top salary that you’re going for. Do realize that the bar exam in Florida is one of the toughest to pass. The states with higher success rates register in the 80%, whereas Florida only registers 57.9% as passing (American Bar Association, April 2018 results) – within the bottom 10 worst positions of 50 states and Puerto Rico. Many students must take the test multiple times. But don’t despair. All advice points to early preparation and small class sizes. This is why a Bachelor’s in Legal Studies from a supportive university like Florida National University will help you prepare for law school. Our small classroom size, hands-on work with the instructors and a direct concentration on the subject matter that you’ll be tested on are FNU’s invaluable strengths when looking to prepare yourself for the rigors of a law school program. Firstly, you’ll need to be attending an accredited university to apply for the bar exam. FNU is registered and has the authority to issue recognized bachelor’s, associates, master’s degrees as well as certificates. An FNU degree is accepted by any law school in the U.S. that you apply for. However if you will need online courses to better fit your schedule and lifestyle, the Legal Studies B.A. is on our list of online programs offered at FNU. Contact the Online Learning Division at 305-821-3333 for more details. While some law students get their B.A. degrees in history, English, philosophy, political science, business or economics; these obviously aren’t as targeted as a Legal Studies program, like at FNU. 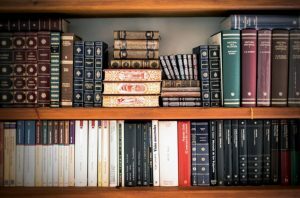 You’ll have an easier transition into the laborious demands of a law school program by familiarizing yourself with the exact type of material that you’ll cover in a law school. The law has it’s own very specific jargon that must be adhered to in absolutely every single term. Learn the differences between terms that people from other studies take for granted as synonymous, but actually have very different ramifications in law. Not only will you have an advantage over other students, but you can quickly pass over information that you’ve already learned through in your BA program and concentrate on deciphering more complicated topics as well as memorizing the “black letter law” that you’ll need to pass the bar exam. Being in a legal environment, around attorneys, judges and more, where the focus is law will also give you a more intimate view of the field itself. Direct experience stories, clarifications from people working in the legal field, etc. are a part of getting the inside notes on the job. Here you can possibly meet people who will become your references both for the law school of your choice as well as your career. Furthermore, when law schools review your application they will see your commitment to the field if you’ve received your B.A. in legal studies. Getting into your top choice of law school is going to be a competitive process, but small classroom sizes and supportive teachers there is a likely increase in your success. Students laud FNU professors for their support in their long journeys, as you can see on our students’ testimonials page. Core requirements of the FNU Legal Studies program include various levels of Legal Research & Writing to really practice one of the most important parts of understanding and communicating law; introductory classes to each branch, such as tort, criminal, etc; business, contracts, property law, etc. You have a full 39 credits in electives to choose from, where the suggested courses are mostly in Criminal Justice, Forensics or Legal Studies, including classes on business, bankruptcy, health law, etc. This does not preclude you from taking classes in any other division, however, to fill your electives requirements. FNU: A Great University For Your Legal Studies B.A. 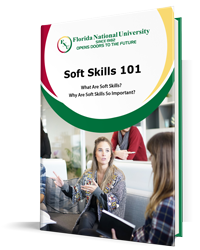 Talk it over with someone in the Legal Studies faculty at Florida National University to see if it’s a good fit. We’re happy to answer any questions about the Legal Studies program as a preparation for when you enter law school. With first-year attorneys in Florida earning between an average of $87,000 per year, it’s worth looking into and ensuring that you start off in a program that’s going to put you on the path to success in passing the bar. The earlier you start in a more supportive environment the better you can ensure your time has paid off. Write us your questions online, or ask for our department through our phone number 305-821-3333.